WARNING! This post contains spoilers for the Kingdom Hearts series. If you’ve played all the games or just don’t care about spoilers, feel free to read on. So, as all of us Kingdom Hearts fan know, the new trailer came out a few days ago, and it was awesome. I have pages upon pages of notes I took from that trailer, analyzing every last pixel within it. Now, I could use these notes to post a thorough trailer analysis, but I think it’ll be more fun to instead write about what is indirectly told through the trailers and information revealed thus far. So, below is Part 1 of 2 (possibly 3) of a series where I predict and discuss everything Kingdom Hearts III. I did a similar thing with my friends when Kingdom Hearts 3D was about to come out, and I was 99% correct on my predictions, so I feel confident to share my thoughts on the new one. Everything here isn’t necessarily what I want to happen either, they are predictions based on the history of the game series and comments made by people working on the game. This first part is all about the worlds that I feel like will appear in the game, part 2 will be about the story, and the possible part 3 will be anything I felt like I left out. Now, let’s get started! No real surprises here. All of these worlds have been shown in trailers, and throughout the history of the series, every world in a trailer has so far been inside the game it was advertising. The only questioning world is this new Cable Town that was shown at a private event held late in 2014. But, judging by the descriptions of Cable Town, it is likely the world that Xehanort and Eraqus are having their conversation in during the E3 2015 trailer. Also, from what we know so far about Cable Town, it’s easy to assume that it is the hub world for KH3, much like Twilight Town and Radiant Garden were in KH2. Judging on the games release and how popular these characters are in Japan, I would bet money that the Kingdom Hearts version of Lighting Farron from Final Fantasy XIII and Noctis from Final Fantasy XV are going to appear in this world as well. These two characters have been mentioned in passing for a while now to appear in Kingdom Hearts, so I wouldn’t be shocked if it ended up happening. Anyway, now to the more interesting stuff. The first 10 on my prediction list are returning worlds from the past games, but all of them make sense for a return. Agrabah, Atlantica, Hollow Bastion, Halloween Town, and the Hundred Acre Wood have all appeared in both of the main game titles, so their return is expected. The Mysterious Castle will presumably be in the game as well, since as revealed at the end of KH3D, Kairi needs to be trained with a keyblade. Yen Sid’s home might also serve as a “base of operations” of sorts, but more on that in part 2. Disney Castle is also likely to return in a bigger way since Mickey will seemingly have more screen time than ever before as he is one of the Seven Lights. 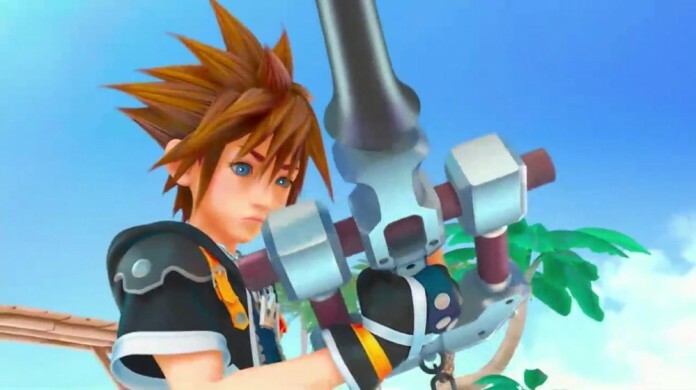 The Keyblade Graveyard will also likely be the last world in the game since the opening of Kingdom Hearts 3D depicts it as being the site for the final battle between Sora and Xehanort. Thematically, it would also make sense for Traverse Town to return since it’s the first world you visit in the first game, which makes me think it might be one of the closing worlds in this new one. Lastly for the returning worlds, Castle Oblivion is a lock for appearing since Sora, or a keyblade master, still needs to save Ventus, and to our knowledge he’s still sleeping in the Castle. Before I go into my reasoning and thoughts on the new worlds, let me address why I didn’t include the two most requested worlds: a Star Wars World and a Marvel World. I didn’t include a Marvel world where Sora would be swinging with Spider-Man, or beating heartless with Black Widow because quite frankly, the Marvel movies don’t have a tone that would make sense in Kingdom Hearts. The series tried making a world out of a movie with a differing tone of the game with Port Royal in the second game. Because that world wasn’t generally well received I don’t see Square Enix testing the waters again with another series. Star Wars is a completely different beast from Marvel though, because the tones can mesh well with each other. For the longest time, fans of the series have been clamoring for the obvious lightsaber keyblade. It would be awesome, but there is one big thing preventing this world from happening, EA. Currently, EA has the rights to do anything and everything Star Wars in the video game front, and it would be very unlikely for them to share that with Square Enix. Sure, the parent company of Disney could still potentially let them do it like they just announced they’re doing with Avalanche Software for Disney Infinity 3.0, but that still seems unlikely. However, despite what I just said about a Marvel world, I did make an exception in a way. I have a strong feeling there is going to be a world set in San Fransokyo from Big Hero 6. This movie is technically Marvel, but since it would be based off the movie there’s no real connection between it and Marvel besides a few Easter eggs, so it doesn’t really count. The movie is fairly recent, which might make it hard for there to be a world on it, but we also have to consider that Tron Legacy had a world in KH3D and there was only about 18 months between the release dates of those two. Also, and this is where this idea gets a bit weirder, since San Fransokyo is partially based on Tokyo, I believe this is also the world where we will see the return of the cast of The World Ends with You. Tone wise it makes sense, and it’s not impossible to imagine Sora sharing the screen with Neku and Hiro. I also put down that there is a big chance there will be a Jungle Book world in the game. This is because there was supposed to be a Jungle Book world in Birth by Sleep, but it was cut out. You can actually find some code of the world inside the game still. Anyway, the Kingdom Hearts series has had a history of going back to worlds that were scrapped from previous games relatively late in the development cycle, some notable examples being the Pride Lands and Prankster’s Paradise. There is also a high chance of there being a Frozen world solely because of how popular that movie is, especially in Japan. Toy Story also seems like a likely chance for a world since Buzz and Woody were planned to be a summon in Kingdom Hearts II Final Mix and technology is powerful enough now for a game to look as good as the CGI in the movie does. For the last new Disney world, I believe it will be one based off of Lilo and Stitch that takes place sometime after Stitch escaped in Birth by Sleep and when he meets Lilo. Lastly, I believe there will be one more original world besides Cable Town. This world will be one of the last in the game and serve as this games The World That Never Was. It will most likely serve as a point between the main story and the Keyblade Graveyard. There’s not much more to say about it considering that it would be brand new. So that’s it for part 1 and please share your thoughts in the comments on whether or not you agree with me and what worlds you you think are going to be in the game. Look forward to part 2 in the next few days where I will be talking about the story. Previous articleE3 Gave Us a Lot of Final Fantasy, But no Final Fantasy XV – Is It Time to Start Worrying?